Europe is home to some of the most breathtaking mountains, fjords, rivers, cliffs and lakes in the entire world. We’ve put together a list of the top 10 hikes that you should add to your bucket list, because the views and experiences are truly once-in-a-lifetime! Norway is a beautiful country packed with raw, untamed nature just waiting to be explored. The hike to Trolltunga (“the troll’s tongue”) is a 22km hike up the awe-inspiring cliffs in the Hardangerfjord area. The actual Troll’s Tongue is a cliff rock jutting out 700 metres above Lake Ringedalsvathet and this coveted view from the rock will be worth the strenuous journey up. The hike will take up to 10 hours overall. Trolltunga is situated 1,100m above sea level. Along the way, you will also see attractions such as the Ringedal dam and mountain potholes. The trail starts on the right side of the funicular Magelibanen (which is no longer in service). From there, the trail is now marked with a red letter “T” painted along the terrain. This route is extremely challenging, with mountain terrain and changeable weather. Optimal times to go are between mid-June and mid-September. For more information check out VisitNorway! At 2,928m, the Schwarzhorn is the highest peak on the pre-alpine mountains near Grindelwald. 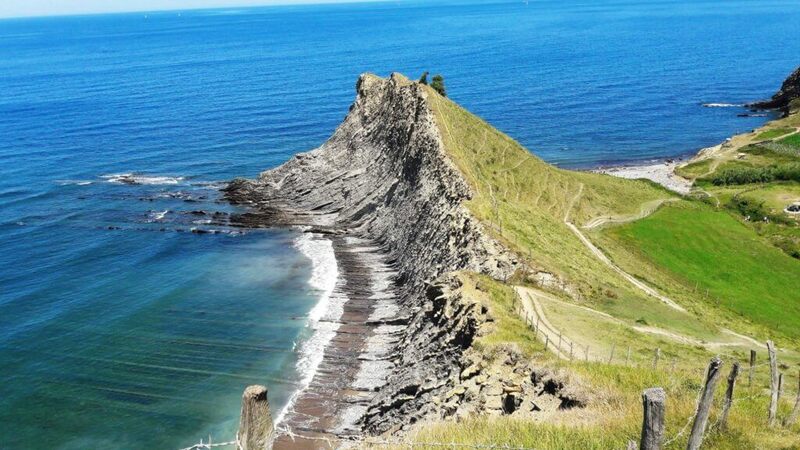 Hikers will trek 8.6km and 911m up this extremely difficult, steep path. This hike is only suited for well-experienced hikers who are confident in their abilities to navigate along narrow ridges and traverse difficult terrain. The best path to ascend Schwarzhorn is the Grosse Chrine path along the mountain’s western edge. The climb is demanding, but the picturesque, panoramic views of Switzerland from the top are well worth the sweaty hike up! Less experienced climbers can also book a tour of the Grindelwald Mountain Climbing Centre, where they will have the opportunity to climb the mountain with the leadership of an expert mountain guide. For more information, visit Jungfrau.ch. 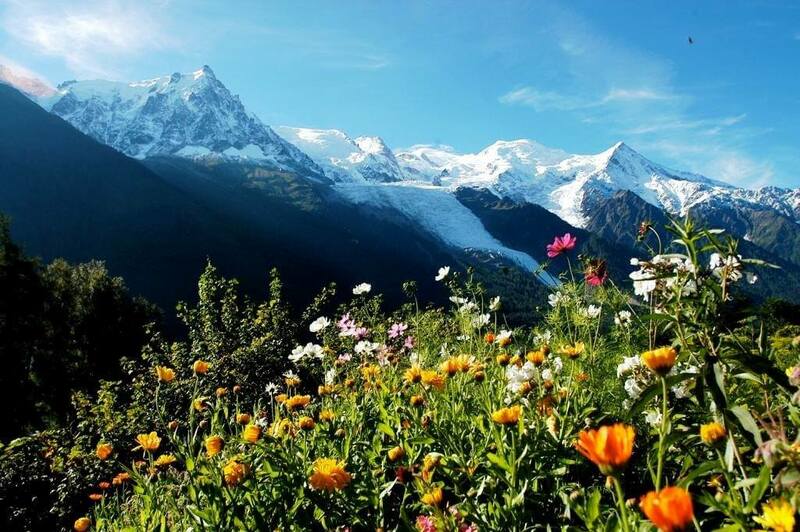 The Tour De Mont Blanc sees thousands of hikers every year – all coming to gape the magnificent landscape along the French and Italian border. The Tour itself is a 170km route with 10,000m of ascent, trekking all along the Alps from France to Italy and Switzerland. The scenery along the walk (that is usually trekked in about 11 days) is nothing short of spectacular and introduces hikers to the magnificent waterfalls, rivers, valleys and peaks of the Alps. This route is extremely accessible. It does not require expert technical skills, it has ample accommodation along the way. It is also very well marked, so novice navigation skills are acceptable. This route is not to be confused with the Mont Blanc Massif itself, which should only ever be attempted by expert mountaineers! For more information, visit Chamonix.net. From Laugavegur to Thorsmork, the Laugavegur Trek is Iceland’s most famous hiking trail, world-renowned for its breathtaking scenery and unbelievable landscapes. In the highlands of Iceland, you will witness the stunning cliffs and rivers of Thorsmork Valley, the shining waters of Alftavatn lake and the jutting hills and mountains of Einstrur. After long hours of hiking, take a nice, relaxing dip in the hot springs and geothermal areas of the park. Volcanoes and glaciers surround you at every turn, making this a truly unforgettable hike. The trail itself if over 55km, and can take up to 4-6 days to complete. The most common starting point of the trail is at Landmannalaugar (located in the southern part of the Icelandic highlands). There are multiple huts and campsites along the way, but be prepared for walking up to 6 hours daily. Rysy Peak is the highest peak in Poland, clocking in at 2,500m. If you’re looking for a thrilling climb that doesn’t require technical experience, look no further. The trail from Czarny Staw, a gorgeous, crystal clear turquoise lake along the mountain, takes you up Poland’s largest mountain and exposes you to the stunning landscapes of the country. The path takes about 3 to 4 hours to climb and, although physically strenuous, the trail itself is relatively easy to climb. Along the way, you will get a bird’s eye view of Morskie Oko as well as Czarny Staw. The real fun begins when the trail gets a bit steeper and a little more jagged! There are metal chains hooked to the rocks that aid your ascent, but there are only a few areas where it seems necessary to actually use them. Once you get to the top, you will be able to view Slovakia on one side and Poland on the other, along with the magnificent mountains, valleys, and lakes below. Kungsleden or “King’s Trail” is a 440km hiking trail in northern Sweden that passes through the Vindelfjallen Nature Reserve, which is one of the largest protected areas in Europe. Of course, you don’t have to hike all 400km in one go! The trail is well marked and maintained by the county board of Norrbotten, with some parts having plants walkways over swampy areas or rocky terrain. However, the further you get along the trail, the difficulty increases as the terrain becomes less maintained. 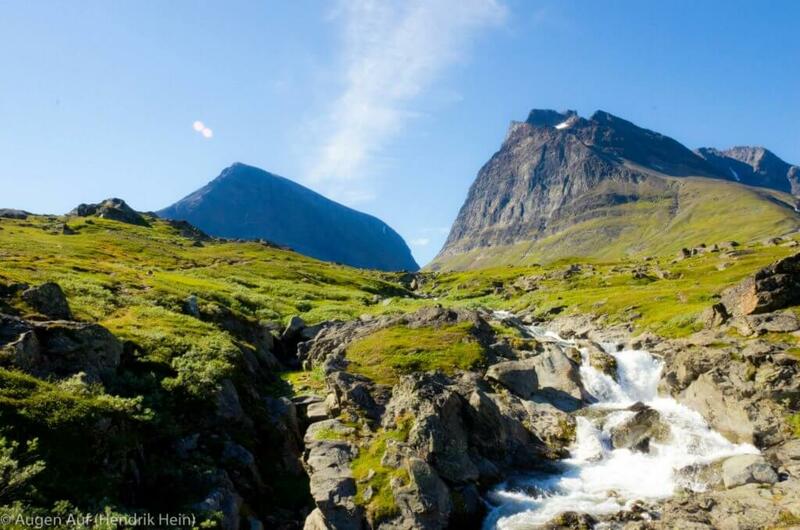 The trail is separated into four portions, with the most popular portions being the Abisko and Kebnekaise. There are about 27 huts along the trail. Along the way, you will be exposed to gorgeous views such as Sweden’s highest mountain (Kebnekaise), Tjaktja pass, and Sarek National Park. The best time to hike this trail is in the summer, as the winter weather changes the accessibility of the tracks. Known for having some of the most dramatic mountain ranges in the world, the Central Dolomites trail is a hut to hut route that traverses the central areas of the Dolomites and takes about five days to complete. Days usually consist of about six to seven hours of walking, sometimes including climbs of over 1000m each day, but the views are well worth it. Rocky peaks, steep cliffs, expansive lakes, and lush, flowery meadows will meet your gaze throughout your trek. The huts along the way are extremely accommodating and often include beds and breakfasts. Also, although gorgeous in the summer, there are also many opportunities to ski and snowshoe in the winter as well! The Mullerthal trail is a 112km trail that twists and winds through forests, pastures and canyons. The trail is compiled into three routes. Route 1 takes you on a journey to witness stunning rock formations, dense forests and lush pastures and meadows. Route 2 hikes through Luxembourg’s Little Switzerland and offers magnificent views of the landscape. Route 3 takes you along streams and valleys to some amazing castles. Although all of the routes are connected, each route is trekked separately. Embrace the beauty of Luxembourg’s forests as you traverse this historic route. For more information on what each trail has to offer, visit Mullerthal Trail. Following along the coast of the Basque Country, this 15km coastal route takes you on to some of the most beautiful cliffs that Europe has to offer. This site also conceals 50 million years of geological history, as the waves and weather have eroded the rocks surrounding the area into extremely rare formations. Take an afternoon to explore the beaches and cliffs of Spain, but make sure to go at low tide, or else you will not be able to access the route! Goethe’s Path is the most hiked trail in the Harz National Park in Northern Germany and allegedly follows the route that the famous German poet, Johann Wolfgang von Goethe trekked when he climbed from Torfhaus to the Brocken in 1777. The 19km course is optimal for both kids and adults as the relatively flat terrain is easy to navigate. The path is perfect for history lovers as it passes multiple cemeteries and mines that date back to the 18th century. You can also take in the breathtaking German scenery that inspired many of Goethe’s poems.